Looking to purchase truck boxes? Go no further than National Ladder & Scaffold Co., supplier of all your contractual and personal project needs! 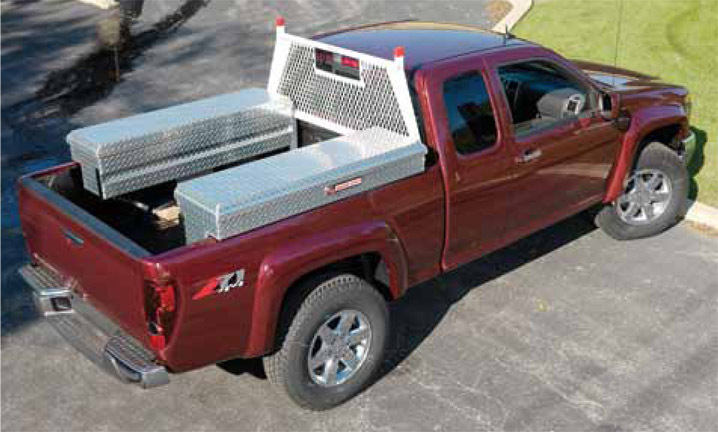 We have a huge selection of Weather Guard truck boxes to accommodate your differing needs. Weather Guard produces some of the most heavy duty and durable truck boxes available. You get your choice of box material in either steel or aluminum. For a short time only, when you order from National Ladder & Scaffold Co. you can get 10% off your order of Weather Guard products! Since 1935, National Ladder & Scaffold Co. has taken pride in their family business values and for having the widest selection of products for all your project needs. Based in Michigan, we ship to anywhere in the country and have some of the best shipping options available. We offer a wide range of ladders, truck equipment, van accessories, scaffolding and other products which are offered at the best prices! All of our products come from trusted brands that are fully American-made. Come visit our online store and order from our inventory of Weather Guard Truck Boxes as well as from our wide range of other products. If you order now, you will receive 10% off your entire Weather Guard purchase! If you have any questions concerning your order, please contact us at info@natlad.com or call us at 1-888-725-5995.